My review for Die Hard 2 couldn’t have come out at a more appropriate time. 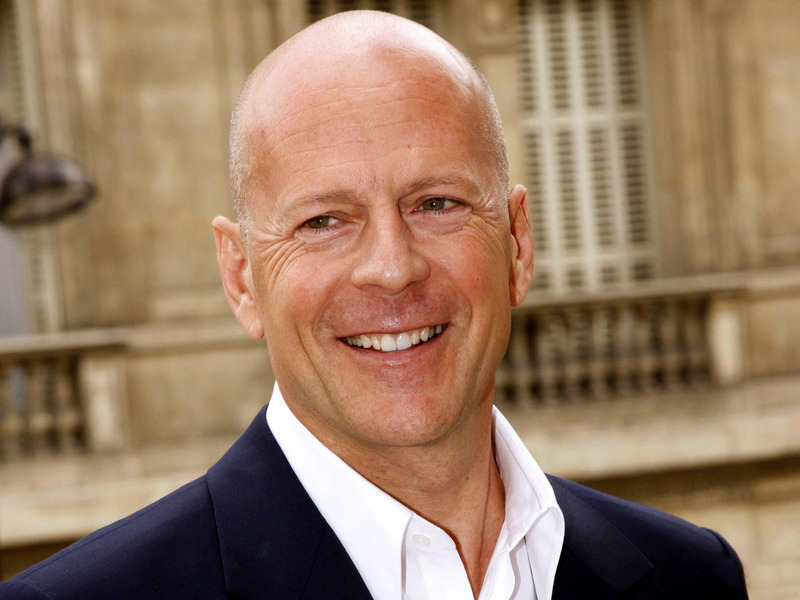 Bruce Willis has now just signed on for another action movie called The Prince, which features him fighting a mobster who kidnapped his daughter. Willis has publicly stated he’s bored doing action movies and only makes them for the money. His lack of enthusiasm couldn’t be more evident. If anyone has seen a Bruce Willis vehicle within the past decade, you know what I’m talking about. Willis has stopped trying in movies, lazily reading his lines while looking like he’d rather be somewhere else. Sylvester Stallone even called the actor greedy after he refused to star in The Expendables 3 because he wasn’t being paid enough. And the sad thing is that Bruce Willis isn’t a bad actor. He’s given some good and dedicated roles in movies like the original Die Hard. Willis is far from being in the league of Marlon Brando or Robert De Niro, but he does have acting chops, plus I still think he can deliver a solid performance. 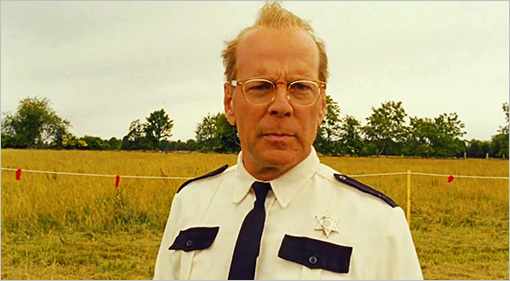 Wes Anderson’s Moonrise Kingdom is a prime example. Besides being one of the best films in recent years, Moonrise offers arguably Willis’s strongest performance. He’s cast as a local, somewhat gloomy cop Captain Sharp in the picture who attempts to find the two child protagonists who have run away from home. Sharp offers one of the children Sam Shakusky (Jared Gilman) some advice in a very eloquent and poignant moment of the film about his own life. Willis’ delivery is impeccable and his character well-written. If Willis used this much effort in his others movies, he’d be one of the most versatile actors working today. Now I’ll name someone else who has taken some ill-advised roles: Nic Cage. Due to some massive debt, Cage now seems takes every role offered to him, no matter the picture. He’s starred in mostly widely maligned action movies like Ghost Rider, Season of the Witch, Knowing, and most infamously The Wicker Man. While he does give memorable performances (though not in a good way), it’s hard not to feel Cage could be doing much better. Back in the late 80s and 90s, Cage was one of the best working actors who gave brave and diverse performances. He was funny in the Coen brothers’ Raising Arizona, sad and dreary in Martin Scorsese’s overlooked Bringing Out The Dead and Leaving Las Vegas, and both in Spike Jonze’s Adaptation. Cage proved how talented he was. He needs to start shaping himself up and take the roles he used to. And now I’m going to say a bit of a controversial choice: Adam Sandler. I’m not saying I’m a fan of Sandler; in fact, quite the opposite. I have nothing personally against the man, but I dislike almost all of his work. He strikes me as lazy and uncaring. His comedies repeat the same formulas of crude humor, his characters are mean and unlikeable, and he blatantly uses product plugs. Even back when he was popular in the 90s, I still found him unfunny. His routines on Saturday Night Live, Happy Gilmore, and Billy Madison struck me as irritating and brash. But Sandler is not a bad actor. He proved he was better than the trash he typically stars in with Punch-Drunk Love. Teamed up with Paul Thomas Anderson, the best director working today, Sandler builds off his usual character, an angry, motor-mouthed man-child, but adds the emotion and depth that’s missing in his other roles. Sandler’s Barry is someone audiences can relate to. He’s constantly bullied and pushed to the side by everyone else. He’s a ticking time-bomb, ready to explode after he can’t handle his stress. It’s a performance worthy of an Oscar nomination in my opinion. The problem is that Sandler, like Willis, is only concerned on money and prefers Razzie winner Dennis Dugan over Anderson. The reasons are clear: Sandler’s fanbase likes it when he stars in his typical schlock. Despie its 19 rating on Metacritic, Grown Ups 2 earned over $200 million, almost 20 times more than Punch-Drunk Love. For Sandler, paychecks mean more than critical praise. If these three actors started working, be it hiring better agents or teaming with more respected filmmakers, they’d be doing well. If they don’t, they may succeed financially but lose any reputation they had. « How Do You Watch Your Movies? Great list, I guess you could also add De Niro and Pacino to it, who haven’t put out much memorable work out either the last couple of years. 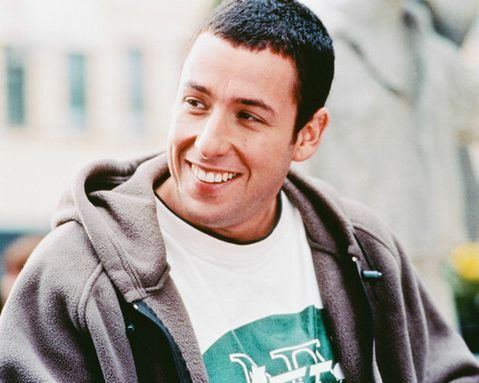 As for Adam Sandler…not a fan either and I guess he will have to do an Oscar winning performance before I start caring about any of his work again. Thanks! Can’t believe I forgot De Niro and Pacino, they’re prime examples. Sandler really irritates me but he was great in Punch-Drunk Love. Part of me wishes he would work with talanted directors. Couldn’t agree with you more! Great post. I liked Adam in ‘Spanglish’ and ‘Funny People’. I don’t care for him when he’s goofy-stupid-funny. Yes, I wish he’s tackle more meaty roles. And I’ve been thinking about Cage a lot, too. I had him paired with Mel Gibson as far as great actors who seemed to have fallen from grace. Thanks! Good point. I wasn’t a fan of Funny People, but Sandler’s pretty good in it. 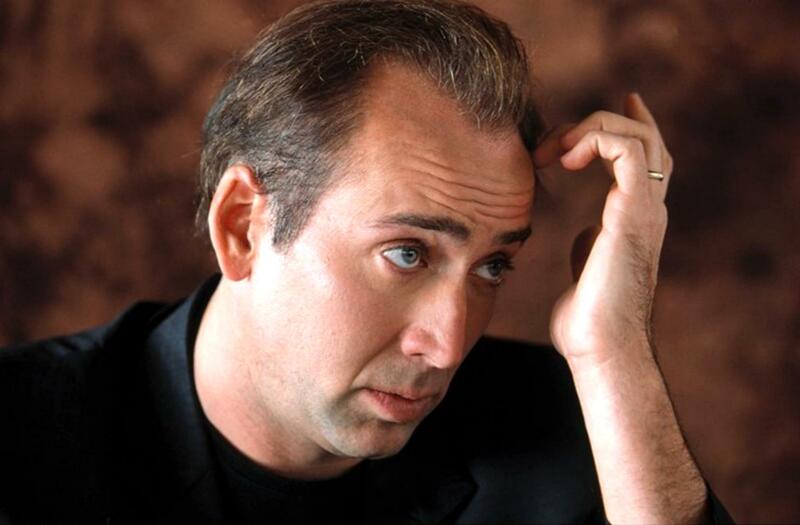 Cage is still capable of good performances, but he just doesn’t seem to care anymore. Oh yeah, Bruce’s gotten so darn lazy!! I used to like him as he’s so charismatic and fun to watch but I’m so bored of his schtick already, he definitely SHOULD do better! As for Nic Cage, he just needs to get out of debts soon and actually return to acting for art instead of just paying the bills! Thanks for the comment. Yeah, Bruce has really become the epitome of lazy actors. He’s really hurting his fanbase as well. Poor Nic Cage, he really should try working with Scorsese or the Coens again. I still hold out hope for Nic though I haven’t seen any of his latest movies in the past 3 years, ahah. Great question buddy, you’ve picked out some great examples. De Niro is the first one who springs to mind. I would have said Matthew McConaughey until about a year or so ago. Thanks! Can’t believe I forgot De Niro. He still can deliver a great role like in Silver Linings Playbook, but he doesn’t seem to want to do performances like that anymore. Matthew McConaughey is a great example of an actor who managed to redeem his career. Unlike Willis, Cage actually appears to be having fun and seriously enjoying himself and making the most of all his crappy movies, which in turn makes it fun for me as a viewer, so I’m all for it. He does have a bit of a return to form in the recent The Frozen Ground, however, probably his most serious and legitimately best performance in years. As for actors who could do better, I’ve always felt that Brendan Frasier was a pretty damn good actor who just never really got a chance in a good movie. Poor guy always gets stuck in crap after crap, yet I’ve always seen quite a bit of wasted talent in him. Such a shame, but hopefully one day he’ll catch a break. Thanks for the comment. Cage does seem to be trying in his bad movies, but I wish he’d take a more serious turn. Nice point about Brendan Fraser. Haven’t seen him in anything I’ve liked, but he’s definitely got a lot of potential. Also, I’ve been trying to comment on your blog, but it won’t let me use my wordpress account for some reason. This is what i’m primarily going to see The Frozen Ground for: to see a bounce-back for the once-great Nic Cage. good post Ck!! I really enjoyed this post. I do still love me some Robert De Niro. Just saw The Family last weekend. Not his strongest by any means, but it took me back to the good old days. Thanks! De Niro’s my favorite actor, so it’s sad for me to see his films as of late. I’m waiting for The Family to hit DVD before I see it. It is definitely a film to wait for for in that respect… Good call. I have enjoyed your blog, and I’m looking forward to more quality work in the future. Keep it up! I wish that paychecks didn’t mean more than critical praise for Sandler. I like a lot of his drama and know he could do better. Willis too. Great post here my friend. Thanks! Both Willis and Sandler have potential if they weren’t concerned on paychecks.